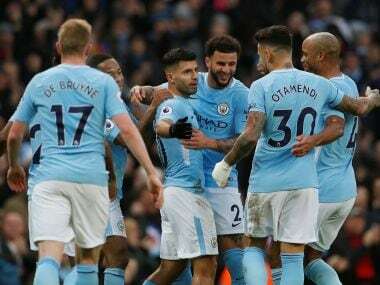 London: Manchester City racked up a 17th consecutive Premier League victory after Sergio Aguero's 100th and 101st Etihad Stadium goals inspired a 4-0 win over Bournemouth on Saturday. 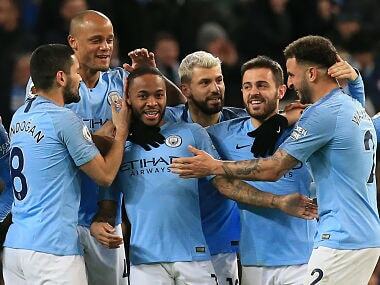 Aguero scored twice and set up Raheem Sterling as Pep Guardiola's side made it 18 wins and one draw in the first half of the season and provisionally opened up a 14-point lead at the top of the table. Chelsea were held to a 0-0 draw at improving Everton, while bottom club Swansea City started life without sacked manager Paul Clement by drawing 1-1 at home to Crystal Palace. Manchester City are now two wins away from equalling the record for consecutive wins in Europe's top five leagues, which was set by Guardiola's Bayern Munich in 2013-14. 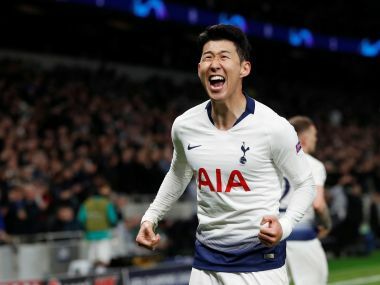 They have already become the first team to score 100 goals in the English top flight in a calendar year since Liverpool in 1982. City manager Guardiola welcomed back Vincent Kompany from injury and David Silva, who had missed their two previous games due to personal reasons, and saw his side take a 27th-minute lead. Aguero met Fernandinho's cross with a diving header to bring up a century of goals in front of City's fans since his 2011 move from Atletico Madrid. 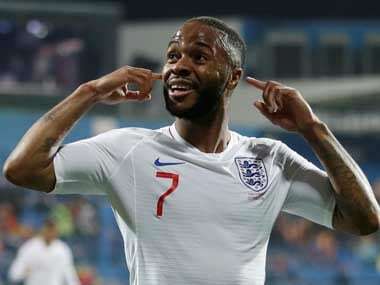 The Argentina striker's dinked pass set up Sterling to smash home City's second goal -- and his 16th of the season -- in the 53rd minute before Aguero headed in his second. 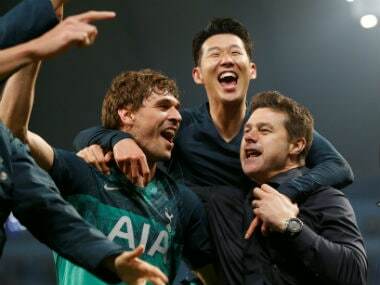 The visitors dominated, but the closest they came to scoring was when Everton centre-back Ashley Williams headed Victor Moses' cross against his own crossbar in the 76th minute. "I think we dominated the game and had lots of chances to score," Chelsea head coach Antonio Conte told Sky Sports. "I think this result is unfair. Everton deserve credit, but we deserved to win." Chelsea, who were without the suspended Alvaro Morata, will fall five points below second-place Manchester United if Jose Mourinho's side prevail at Leicester City in Saturday's late game. Swansea remain four points adrift of safety at the foot of the table after drawing against Palace, with player-coach Leon Britton taking charge of the team following Clement's dismissal. Palace, now unbeaten in eight league games, took the lead through Luka Milivojevic's penalty just before the hour, but Jordan Ayew levelled for Swansea with a drilled effort 13 minutes from time. Newcastle United climbed out of the relegation zone after ending a run of nine league games without victory by edging West Ham United 3-2 in an entertaining encounter at London Stadium. West Ham forward Andre Ayew atoned for squandering a penalty at 2-1 by scoring to make it 3-2 in the 69th minute, but the east London club tasted defeat for the first time in four league games. Pascal Gross's fourth goal of the season earned Brighton and Hove Albion a 1-0 win at home to Watford, while Laurent Depoitre cancelled out Charlie Austin's opener as Huddersfield Town drew 1-1 at Southampton.